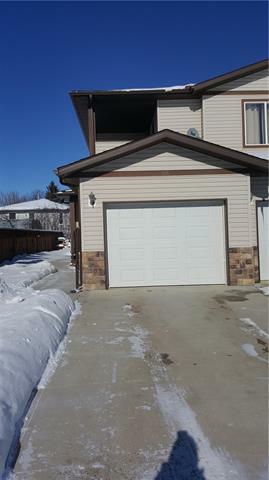 Three-bedroom, one-bathroom upper unit condo located close to schools and recreational facilities in the Town of Vulcan. 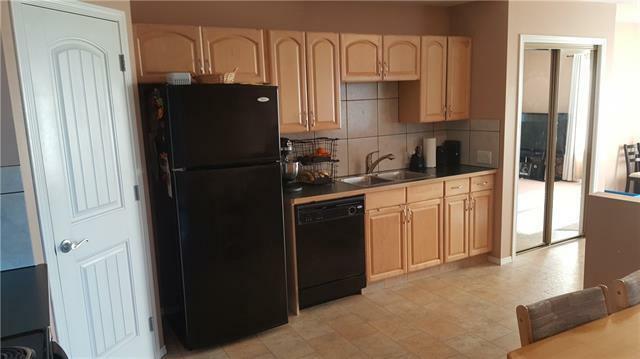 The could make a good revenue property, or a good home three-bedroom home. From the ground level entrance, you go up the stairs where all rooms are on the same level. 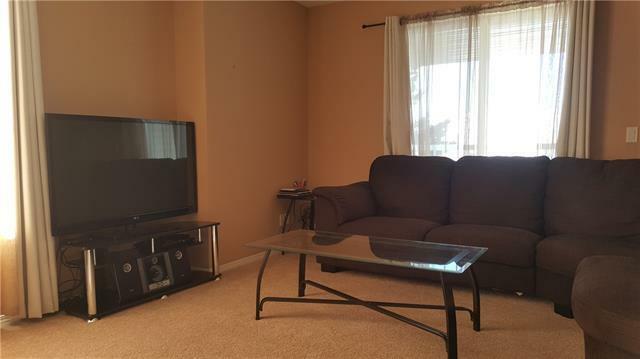 There is a good sized master bedroom with walk-in closet, two more bedrooms, full bathroom, linen closet, laundry room, kitchen and dining room, and living room. 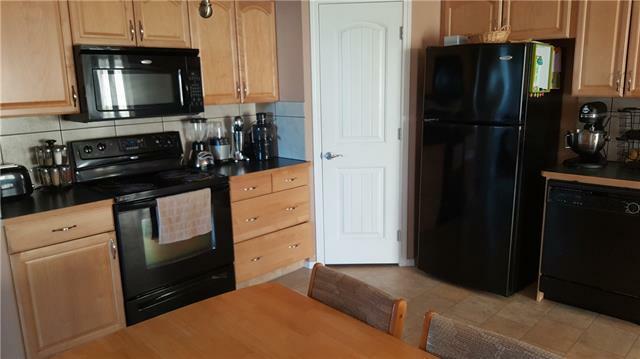 Fridge, stove, built-in dishwasher, microwave hood fan, washer and dryer are included. There is an attached single-car garage. Utility room is accessed from the garage. Another feature is the central air conditioner. Condo fees cover building insurance and reserve fund contributions. Pets are permitted.The association states that there are to be no barbeques on the upper deck. No barbeque on ground level within three feet of vinyl walls.